Have you ever tasted this crunchy, refreshing and colorful berry-like fruit? Did you know that Pomegranate is native to the area of modern Iraq and Iran, spread to Northern India, and is one of the most ancient fruits? 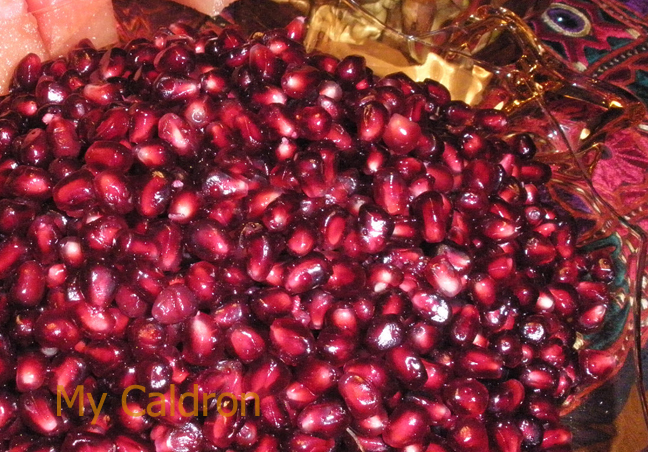 Did you know it is said that some Persians believe Eve actually ate a pomegranate she plucked from the tree of knowledge in the Garden of Eden, not an apple. And that ancient Egyptians buried their dead with pomegranates because they believed it offered eternal life? 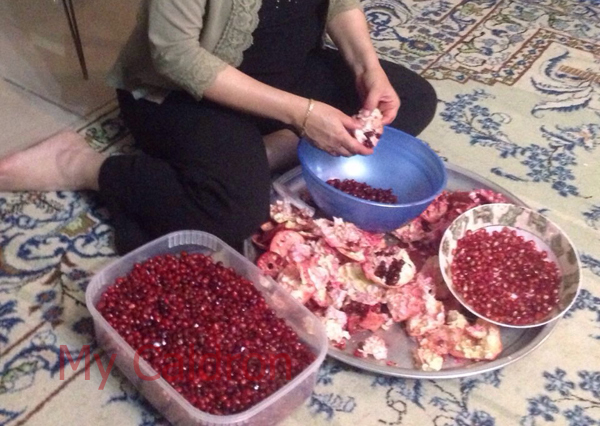 Finally, for the beginners, do you even know how to eat pomegranate!? Seeding it is the way to go and here is you go about doing it. 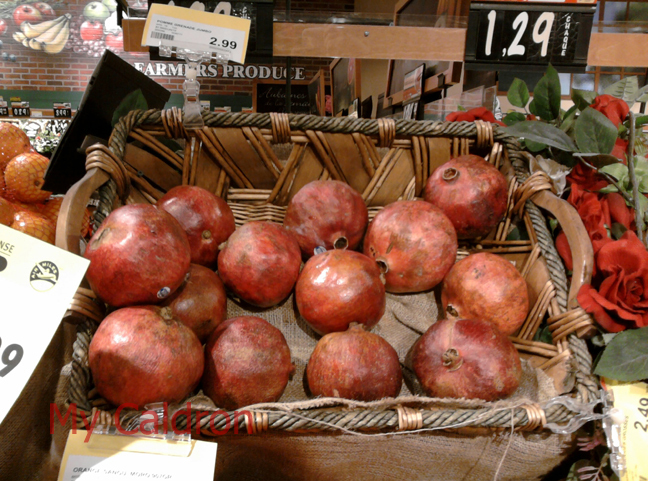 There are several Iranian foods in which pomegranate juice is used, namely khoresh-e fesenjaan. While the it is in season though, don’t miss the fresh form of the fruit in your salad, or just as snack.